How does Medipedia ICO Solve the real world problem with Blockchain? 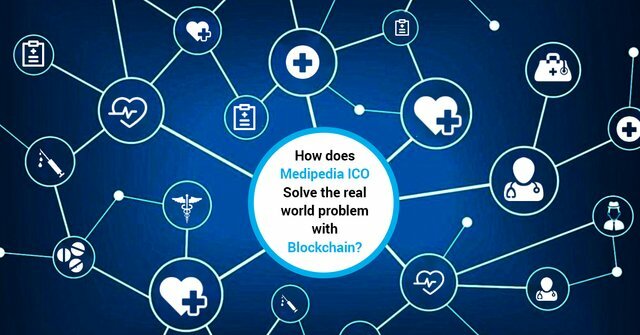 Medipedia is a blockchain project that was designed to deal with the existing problems of the medical market, which include the high cost of medical services, high waiting time, limited access to credible medical information and services, difficulty in getting appointments, language barrier for foreign medical consumers, and others. The Medipedia platform makes use of the blockchain technology to create a decentralized system of information and services where consumers can directly connect with the best doctors and medical institutions in any place and get the best treatment for any medical condition. The current medical industry around the world is suffering from many issues, as explained below. Increased cost of treatment continues to be a major hurdle in the way of providing the best medical care to common citizens. With new technologies and treatments, the cost also gets higher. Limited reach of advanced medical technologies is another major issue which the industry needs to deal with in order to ensure the best care for people in remote areas. High waiting time for medical services such as appointment and consultation with a good doctor is a very common problem everywhere. Absence of credible medical information, personnel and institutions is also a very serious issue. There is not a single centralized (or decentralized) place where we can look up for reliable information about doctors and medical institutions for certain treatment. Difficulty in getting a reservation, especially with big hospitals and doctors, is a challenge in itself. Localization of the medical industry is another major issue that needs to be dealt with soon. While many developed countries enjoy good quality and reach of medical services, most of the under-developed and developing countries are far behind in the race. The medical services need to be global, irrespective of the region. How does Medipedia solve these problems of the Medical Industry? Medipedia is a blockchain-based healthcare ecosystem that aims to decentralize the medical information, services and database such that it can be made available to medical consumers to enable them to make the right choice. The Medipedia team wants to make it easier for everyone to access quality medical services, even when travelling to a foreign country for treatment, as according to their needs and health requirements. The Medipedia platform combines a powerful blockchain technology with the medical tourism market with the purpose to decentralize the medical services such that they can be accessed easily and freely by anyone who needs them. The aim is to create a new kind of medical tourism system which is consumer-oriented as opposed to the existing system which is centered around medical institutions. The blockchain is what helps Medipedia do what it does effectively. It has made possible the aim of a truly decentralized medical tourism service information system which not only helps patients find information about good doctors but also let them connect and consult with these doctors online before making a real appointment. Other blockchain benefits include globalization of the medical services, easy accessibility, information security and reliability, transparency of medical data & services, among others.